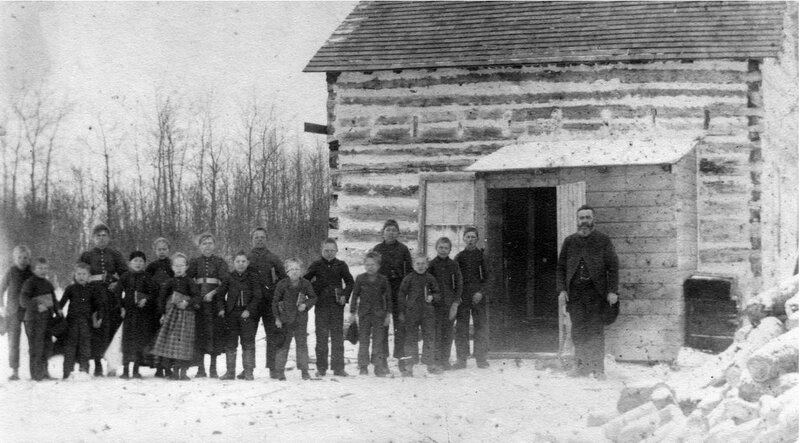 William Rempel (my great grandfather) in the first school in Bergthal Saskatchewan. I think it may be near Hague, but it must be near Rosthern. I had long correspondence with a man who id’s the school since all it said on the back is Bergthal School. Wm Rempel was a teacher in Gretna MB and moved to Sask about 1898. He taught for only a while in Sask. and then was post master in Rosthern from 1901- 1911.